Swarovski Glass was founded in 1895 and is the brand name for a range of luxury precision-cut crystal glass produced by Swarovski AG of Wattens, Austria. The company was founded by Armand Kosman and Franz Weis using Daniel Swarovski’s expertise at glass-cutting and his family name. The original Swarovski glass logo was an edelweiss flower, which was replaced by the S.A.L. logo, which was eventually replaced with the current swan logo in 1988. The Swarovski Swan logo, however, is currently being phased out in favor of just the name Swarovski. 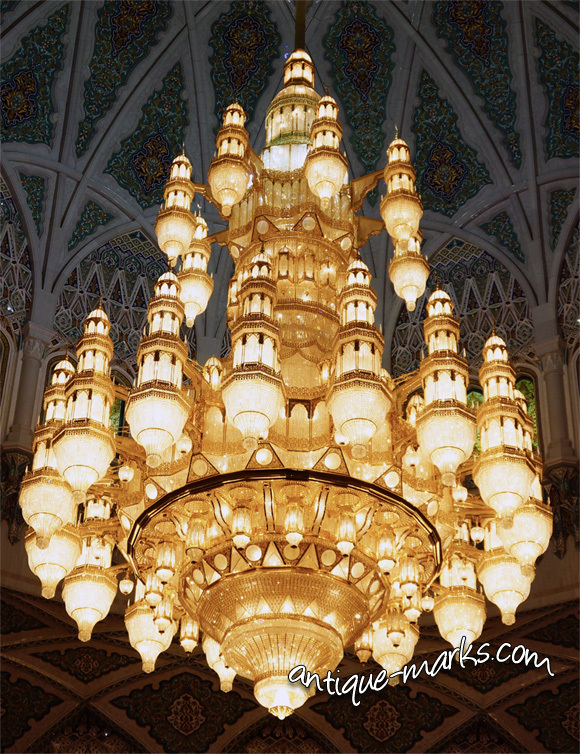 One of the most stunning Swarovski glass creations ever conceived is the Swarovski crystal chandelier in the Sultan Qaboos Grand Mosque in Muscat, Oman. The chandelier has gold-plated metalwork and hangs a full 14 meters from the ceiling. Not all Swarovski glass is that impressive but find a rare or collectible example of vintage Swarovski glass to add to your antique glass collection and you will learn to appreciate the finer details and the superb quality in the smaller pieces.